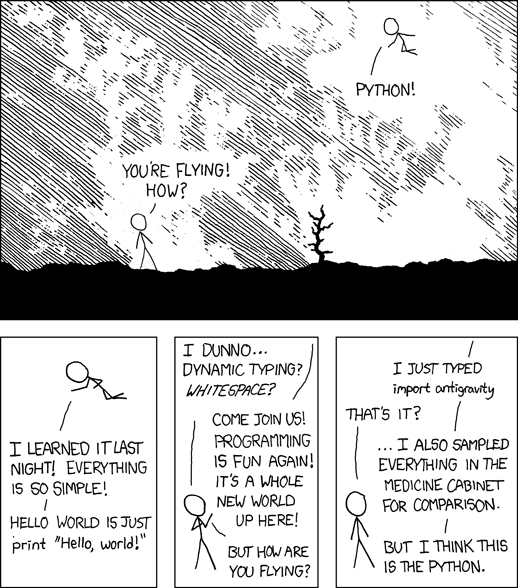 One of the most common reasons for using Python over other languages, like C or Fortran is the huge number of packages (or libraries or modules) that are available (see my favourite xkcd comic to send people as the start to use Python below). It is quite likely that you have made use of Python packages before and perhaps not even realised. This post will show how to install a package, and the different ways to make use of them. A Python package is yet another way for programmers to be lazy. For example, instead of writing a specific function to calculate the square-root of a series of numbers in an array, it is a lot easier (and faster) to use someone else’s work, in this case the sqrt function from the numpy package. 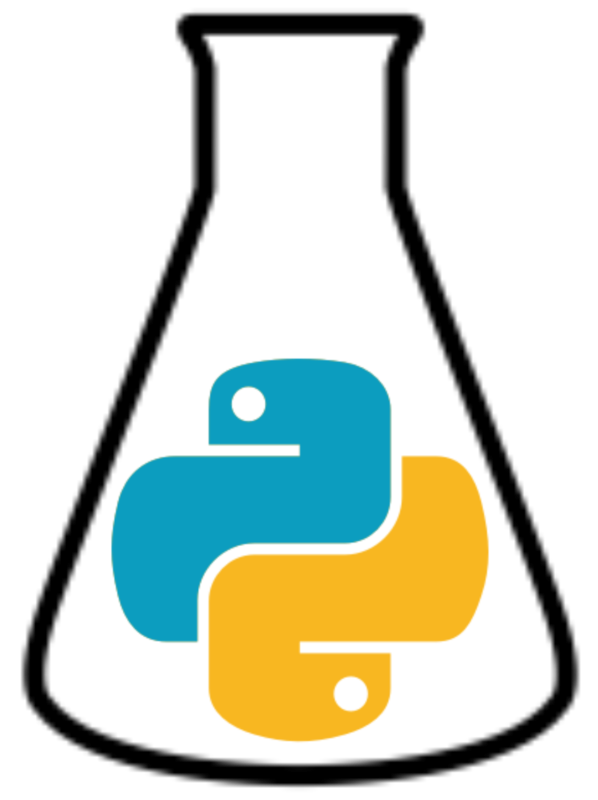 Futhermore, the number of packages that exist for Python is huge, with 140403 (at the time of writing) packages available for download from pypi (a popular Python package manager). If you have followed the guide to run Jupyter locally, this means that you will have installed the Anaconda software. This comes with a large number of packages, such as numpy, scipy, and matplotlib. However, it does not include all packages that you might want to use. For example, in the Making Pretty Plots post we make use of the seaborn package, which does not come with Anaconda and must be installed. On Windows: It is necessary to launch the Anaconda Prompt, the quickest way to find this is to search in the Start Menu for “Anaconda Prompt”. Launching this should open a window similar to that in the image below. On macOS or Linux: It is possibly to interact with the package manager via the terminal. This can be launched by searching for “Terminal” in the Spotlight search bar (macOS) or the appropriate search functionality on linux. So for installing seaborn on Windows or macOS/Linux can be seen below. Credit: Thanks Megan Stalker for the Windows image. Runnning such a command will install the contents of the appropriate package in your Python interperator, allowing you to use it in your code. More information about the pypi package manager can be found here. We can import specific functions from within a function. Notice that in the first example in order to leverage numpy’s square-root function, it was necessary to tell the Python interperator that you wanted it to use the numpy package with np.. This is because the square-root function from the math package cannot be used on a series (array or list) of numbers, and by importing it after the numpy version, overwrites the numpy verison. Hopefully, this has been a useful, and straightforward, introduction to the purpose and application of packages to extend the capabilities of the Python programming language. Just as a note, you may see the following syntax in import statements. This says import all of the functions from the package numpy. This means that all of the functions within the numpy package can be accessed without needing to use the np. or numpy. syntax. Again, this may lead to unexpected results as seen in the previous example.